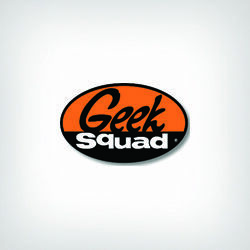 USTechSupport is headquartered in El Segundo, California. They also are part of MyCleanPC, MaxMySpeed, and DoubleMySpeed family of products. USTechSupport offers two service plans from which to choose and those are the Remote Tech Support Subscription for a $39.00 initial setup fee (this also covers the first month of service) and a $19.95 monthly subscription fee. They also offer the Remote Tech Support plan option for one year which offers unlimited support for one PC for $179.00. As we mentioned above, USTechSupport offers two service plans. Their monthly plan offers unlimited support for one PC with no minimum commitments and the setup up fee includes the first month of service. 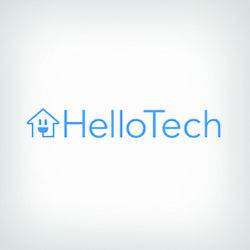 This plan gives you unlimited 24/7 access to their service technicians who they state can usually fix your issues in less than one day which is great for those who need a one-time fix, or ongoing services. This plan also includes tune-ups, virus removal, troubleshooting and more. Their yearly plan offers unlimited support for one PC for a full year and includes everything their monthly plan offers. USTechSupport can also help you with any accessories issues as well. They support printers, wireless modems, monitors and other devices, as well as internet connectivity issues. There is likely an extra charge for this service as their plans only include service for one device. You should talk with them about this before making any final decisions. 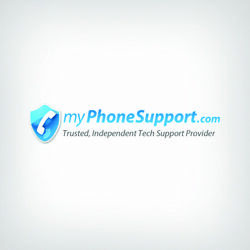 This company offers 24/7 unlimited tech support, so no matter when you need them they will be there to help. And, they also state they can fix most issues in less than one day as well. The only service access USTechSupport offers is a remote option. They will connect to your computer remotely using a secure internet connection and can assess and fix your computer from there. This is sufficient most of the time; however, there are times when someone will require a more hands-on solution which this company doesn't offer. 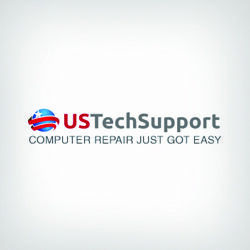 USTechSupport doesn't offer a software installation option, nor do they offer any type of data recovery option either. Having a data recovery option is just as important as having a data security option. If you ever lose your data due to a virus, malware or another issue, you will need to have some way of getting your data back and into place like it was prior to the breach. We would like to see them add a data recovery option to their current list of services. Unfortunately, USTechSupport's service plans only cover one PC. So while they offer support for a wide variety of devices, you will have to inquire about what they charge to add-on other devices and exactly what you will get for those additional charges. For example, do you get unlimited service for those additional charges, etc? USTechSupport does not have a live chat feature, which would be helpful for those who just have a quick question about their services but don't want to call. Additionally, they don't offer any type of free trial or money back guarantee that we could find. A free trial or money back guarantee would help instill confidence in those who are contemplating their services but aren't quite sure about committing. Although they do offer a one-time option, so being that they don't offer a free trial really isn't a deal breaker. USTechSupport offers many of the functions that most companies in this industry offer, but they are limited in how they offer their services. They only offer remote fixes. Additionally, they don't offer data recovery, a live chat service, free trial or money back guarantee. And, their price plans only include one PC. Take some time to perform your own additional due diligence to see if what they have to offer meets your needs before making any final decisions.